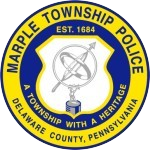 Broomall, PA - The Marple Township Police Department is launching the tip411 alert system from CitizenObserver, a new interactive way to keep the community connected and informed through email, text message, and online public safety alerts. tip411 also allows the public to report crimes and other suspicious activities directly to police by sending anonymous text messages from their cell phone or via a free smartphone app. Members of the community can register to receive alerts from Marple Police via email and/or text message to their cell phone by opting to receive neighborhood-specific or citywide alerts about public safety issues in their area. Community members are encouraged to sign up online by visiting www.marplepolice.com. The public can also share information on crimes and other suspicious activity by sending an anonymous web or text tip to police. While not a replacement for dialing 911 in an emergency, those wishing to share information anonymously with police can simply text "MARPLE" and their message to 847411 (tip411). The new Marple Tips App for iPhone and Android from tip411 enables the public to share an anonymous tip with police and lets the officers respond back creating an anonymous two-way conversation. The Marple Tips App and tip411 anonymous text a tip system are 100% anonymous, as the technology removes all identifying information before police see the tips and there is no way to identify the sender. Those with questions, or who need help signing up for alerts, are asked to contact Marple Police. Residents are reminded to always dial 911 for any police, fire, and EMS services.